A welcome stop after the gulf stream with a reef that goes 20 miles out into the sea. Clean and every one is friendly. Hamilton is a quaint city with old English feel, Old book shops to loose an hour and great bus terminal and old book shops. Ferry ride across the harbor is worth while to see the America's Cup teams and the old buildings followed by the fairy ride back to the top of the island. 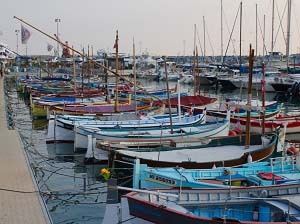 St Georges harbour is the place to check in and you need to tie up on a delapidated dock. There is a refreshing pub next door after a long sail across the gulf stream. Yachts come here from North America going to Europe and also from the Caribbean completing an Atlantic loop from Europe. Caves are worth a visit and a dinghy ride through river to just south of the river. The sea glass on the north of the island is a walk away.. BBQ on the beach is always a nice way to meet new friends. Magical islands that are a dream stop for blue water cruisers. 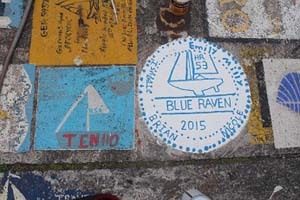 You stop in Horta, visit the famous sports bar, whale meusem and paint your ship logo on the concrete wall to make you part of an exclusive club that has sailed across the north Atlantic. We made friends with Zena, a Oyster 56, that amazingly was 1 mile off our port one morning in the Atlantic, so we had a fabulous photo shoot of each other and made fun on the VHF. It was a bit surprising to sea a 56 foot yacht disappear behind the waves. you hardly ever see a yacht mid ocean and never from the same home marina like Zena was! The north of Horta is a new volcano that's now stable but is worth a visit to see the museum and half buried light house. little England trying to become another Singapore...apes, tunnels and the rock are worth several days to explore and eat in the city to see the mix of English and moor cuisine. Its amazing to be on the south tip of Europe and look across at Africa. The straits of Gibraltor have a constant current of water and amazingly strong winds funneling through. A head wind added ten hours to four trip from the Azores after 4 days of sailing. The constant ship traffic is supplying the entire Mediterranean. La Linea jsut a walk acrosss the airport to Spain and is a wonderful marina just across the harbor. Beaches on the med side are very nice. We had fun with the 4 fold-able bikes cycling to the super market, around the old town and to the beach across the border. 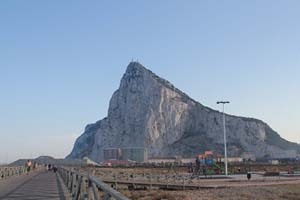 The rock of Gibraltor is full of caves dating back several centuries as the English defended against Spain then Germany. Saint Micheal's caves at the south end of the rock is large and incredible with good lighting. Taking the cable car to the top, walking through the caves, and along to Saint Michael's then down the road is a good day trip. The chandlery in the marina is very well equipped and diesel is tax free an the cheapest in Europe. Getting in and out through the straits is not that bad until it is..
Tobacco and black inflatables are constantly smuggling from Africa to La Linea. we heard they land during day time on the beaches, trucks turn up and everything is done in ten minutes. Apparently La Linea was originally used to house ex prisoners from Spain-ish jails to annoy the English in Gibraltor. 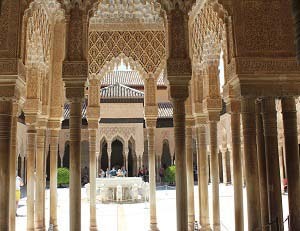 While there are far too many castles and museums to visit in Europe,Alhambra is a must see. We drove across the desert from Aqua Dulca beside the Siera Nevada mountains. Alhambra needs some research on the history to really enjoy about the moors, princes, queen Isabella. This is a beautiful Spainish cafe city. Its the birth place of the submarine and has working submarine base and construction in the harbour. The harbour is very protected along a coast that is very exposed to southerly winds. The marine museum is full of interactive displays and easily explains early sailing and trade in the Mediterranean. Barcelona is best seen from the marina in the old town. Its a bit more expensive than marines out of town but quickly makes sense as you can walk every where. The city renovated the old town when it hosted the Olympics and there are wonderful sites everywhere you go. Gaudi is a famous architect and he influences the the buildings everywhere. The Sagrada Familia is a huge church that is still under construction after 90 years. The outside is impressive and sometimes eroded but the inside is a magical light show. Christopher Columbus set out from Barcelona and he is celebrated with a statue. The art museum needs a day and is well worth a trip. We visited Mellorca twice and enjoyed everywhere we went. Andratx on the SE coast is a deep protected harbour with a wonderful town and board walk with cafe's, the standard o fdres here is very high. Soller with the victorian railway is a great way to get into Soller from Porto Soller. The Santuari de Llac Monesrty is picturesque drive up through the mountains to the NW of the island with alpine scenery and looking over the Mediterarean. Look behind the Monestry to some steps which lead up to a sun dial with 6 difference faces showing a full calender. Palma is the largest city and sits on the south coast. Its worth a day to walk around and enjoy the architecture, art and cosmopolitan cafe culture. A quiet paradise of an island. The Megalithic stones called Taulaus are similar to Stone Henge with some interesting history. There are too many to see so pick the famous ones. We also visited one in a paddock looked after by a man a donkey. Mogan has been used by both Spainish and English as a harbour for tall ships during Napoleons time. Its long and protected and surrounded by forts. Ciutadella is the city on the far west coast and was a delightful surprise with cafes and a harbour full of small restaurants and cafes. This group of islands is just south of Toulon and can be affected by the mistral. Ofter there is 30 knots of wind to the west of Toulon and nothing to the east. These islands are surprisingly quiet and friendly being so close to the French main land. 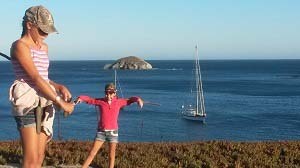 A secret anchorage on south east corner is a must when the mistral is blowing out of the north. Walking tracks exist all over the island with different views where ever you go. We enjoyed being in the main town and watching all ages play Petanque the game with silver balls played in sand. traffic lights for ferries so watch out. The vegetable market is a mus visit. Bonefacio is the most amazing place we visited in the med. You go into a long dog legged harbour and moor is a deep gully with a stern to ropes and to a mooring, chain in the middle of the valley. The ropes are not well maintained and often missing so you can drop an anchor. each morning the officails come out with a diver to help get anchors freed that are stuck under the mooring chaing which is about 10 cm wide. The old fort on the cliff is a day of slow walking and enjoying all the sites. Dad played with 3 guys playing the accordian and had a large crowd of on lookers. The local musicians heard some new music and were grinning from ear to ear. Birth place of Napoleon and the most expensive marina we have visited. Walking through the city and country side is very enjoyable for a few days. The island of Sardinia is very Italian compared to the French Corsica. The north coast is full of small coves and harbors with good swimming and friendly villages. Everyone stops in the Canaries on the Atlantic crossing. Las Palmas is where most people stop for repairs and provisioning. We stopped at the northern island of Graciosa to anchor and relax after an eventful frontal system. The Canaries has wind compression between the islands where 40 knots is common and often in the wrong direction. The season starts to be at risk of frontal systems coming down from England and Portugal so watching the weather to the north is worth while. Paragliding and walking on Graciosa up the volcano was a treat. We ended up staying in the marina of Las Palmas for longer than expected as the ARC (Atlantic Rally Crossing) was there and all the yachts with children were put on one dock so we made many friends and the kids were busy playing from yacht to yacht or finding a pub that televised the Rugby world cup. Its poor and dry, we went to Mindelo. The island of Santo Antao is grean, volcanic and lush. The charts were in error 3 miles to the west. The entire ARC fleet was 3 miles in land for the PC, BnG chart plotter and AIS. Two days out a new French catamaran called us up as all there navigation and autohelm had broken. They followed us in while we joked over VHF making Irish vs Kiwi jokes. The entire west coast is a beach you can anchor in front of.With Turtles and coral. This is a great place to stop when crossing the Atlantic as its into wind from the Caribbean. Mount Gay rum distillery is a must do. We were welcomed by the commodore of the Cruising club in a laser with 4 beers. The Club is friendly with good food and company. On the beach we had dinner ofvflying fish and barracuda. Interesting given how many flying fish we have on deck while sailing. and the Baracuda is safe-ish here but can be poisonous from the coral in the north of the Caribbean. Marigo bay is a delight , quiet with palm tress along a sandy inlet and cheap mooring buoys where you can tie up to friends boats ( we had 3 yachts on one buoy for no extra cost) and visit the very flash hotel and use the pool and bar. 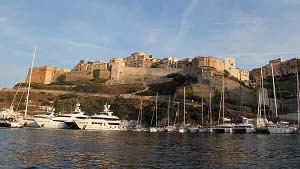 St John vs English harbor is a must see with all the history, beauty and super yachts. Great services and provisioning and friendly people. St Barts is full of mega yachts and the uber rich. The locals are doing well and are friendly people and the island is very safe. The anchorage can be rolley but there are others close by that are more protected. There are turtles in the bay and the water is crystal clear. Gustavia is the best holding anchorage we have been in. There is a sunken fishing boat at the edge of the harbour which is great snorkelling with lost of fish. The school of Barracuda watch you come and go but don't seem too threatening. St Barts has many beaches that are worth going to, good surfing and kite boarding. There are lots of restaurants and Patissaries. Eden Rock is an high end restaurant that is not cheap but the food is better than anything I have tasted...anywhere. The chandlery in Gustavia is surprisingly good value and well stocked. The island is split across the middle and is half Dutch and half French. Prices are good and the lagoon in he middle is very protected. We enjoyed the Loterie Farm zip line and hanging out at the beaches on the NE end of the island. This island is French, large and beautiful. It looks like a butterfly as it has two wings. The western side is mountainous with waterfalls and nature reserves. Bass Tiere is worth a few days to walk through. Dehais (pronounced De Hey) is a protected harbour on the NE side of the isalnd that is convenient to provision and check in check our of customs. The food is french, so good, and there are a few attractions we enjoyed including the Botanical Gardens and a walk up the river through the jungle. It does take a few hours and you can swim in the river. We had young kids from another family so left the track to come back to town only walk across a farm with bulls in the paddock, this was followed by a dog barking and following us as we walked past a smoking incense religous festival in the jungle. It all makes an adventure. When driving aroudn the island try the sugar cane on the side of the road stalls. Point Pitre is the capital and has good marine shops in the marina and in land...chandleries etc.Visit the large Decathelon sports store and super markets to stock up if you need to. A volcano has been active since 2007, the main town moved from the south and hasn't gone back. a ride with Joe Philips is well worth it as he has an interactive iPad presentation and can take you through the abandoned villages. Its a living museum that he brings to life and you leave with a feeling of not only the geology but how it effects an entire community. Rent a car and circle the island in a few hours. Visit the various Rhum distillaries and also Capesterre for lunch on the beach behind the coral reef. This is the jewel of the Caribbean. The island is small and friendly with good anchoring, good food adn lots of places for day walks. 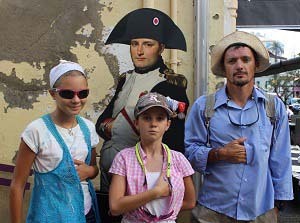 The Napoleon museum is a must visit with history and model tall ships in an old fort over looking the main town. Snorkelling is almost as good as Pigeon Island. Entrance to the Grenadines wonderful 2km walk up the bay steps, beaches, English villas and ice cream with tea and banana cake. "This is why we sailed all this way". This is the tropical island with a beach and a palm tree you see in photos. The turtles and sting rays swim around while you snorkel and scenery is mind blowing. 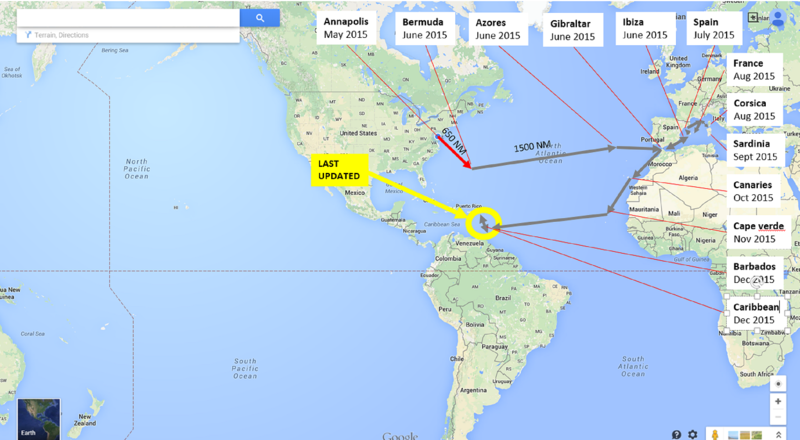 Union island has provisioning 5 miles away. Salt whistle bay has anchoring on the west side of a long white beach and kite surfing to windward. Must go place - Le Marin - for parts and services. Le Marin is the place to go for provisioning and marine service, is the largest yacht charter center in the Caribbean.. Everything is accessible by dinghy and the marina is reasonable or anchor in St Annes, up the bay. The city of Colon Shelter Bay Marina on the Atlantic side are a comfortable stop after a roller coaster sail down big waves from the Caribbean. Shelter Bay Marina is in the old US Army base and is safe and quiet apart from the howler monkeys and busy social scene with everyone meeting new friends and hearing different opinions on the canal and Pacific passage. Must go place - Isle Isabella - its last on your trip and you won't have enough time. The three places you are allowed to anchor are San Cristobel, Santa Cruz and Isabella. Checking in is interesting as a diver checks the bottom of the yacht for growth and the yacht is fumigated using a machine that looks like a leaf blower but spouts out poisonous gas. Galapagos is a dry arid place with an interesting history of people coming and leaving as life is so difficult. The national park is being kept in very good condition by the Ecuadorian government. They quite openly show how they are looking for high value tourists that spend money, but less people overall. This is to lessen the burden on the sparse infrastructure, power, sewage and desalination plants. Turtles, Blue Footed Boobies, Iguana's these are must see items to tick the box. However the islands, people are all the other less publicized sites are also interesting. If you have the money then you will see the most taking a 5 day tour on a small ship. For cruisers its more about dinghy rides and walking to various sites. One unexpected highlight was a swim in a fresh water gorge in Santa Cruz, a 30 minute walk from the anchorage. Charts in the Galapagos where all off by half a mile. We were "anchored" half a mile in land on the chart plotter, tablet and Tough-book with USB GPS. Other reported everything was fine. We ALWAYS navigate into anchorages during day time and make sure the old school navigation aids like channel markers and sighting lines are making sense. In French Polynesia we heard of 4 yachts on various reefs. Both used the channel markers but where caught out as the reef carried out past the. In this case the chart plotter was an important input to show how things worked w.r.t. the real world markers. Must go place - Baie Hanamoenoa on Tauhata. Called the most beautiful anchorage in French Polynesia. We agree. Must go place - Fakarava southern pass - snorkel the pass on an incoming tide and float over sharks, fish and coral. We visited Kauehi and Fakarava. Timing sailing between Atols requires a day time exit and say time entrance, preferably with the sun high and behind you so you can see the "bombies" coral heads. This along with the weather, which is effected by the SPCV (South Pacific Convergence Zone) means things have to line up nicely to leave and enter in a day. We chose to see two and spend quality time in each. Cruising is all about choosing what NOT to see. When sailing Honey (our first yacht 32 feet long) I stopped in Fakarava and decided not to do the south passage. You have to dodge bombies for 25 miles when going from north to south then exit the south pass which has a 3m shallow. This time round we had 4 of us to share the watch looking for bombies and spent a week snorkeling the south passage and checking tides and depths though out the day. In the end we left with another NZ yacht Meridan Passage and had over a meter bellow the keel. Must go place - mountain look out on the southern end of Tahiti's southern peninsula. This gives a view of the island with the Coral fringes and takes you up into green grass fields with cows..quite unusual for this part of the world. Tahiti is about provisioning and French baguettes and croissant. Its the only place between Panama and NZ with well stocked suppliers. Several yachts had huge orders from Amazon and even had engines shipped down to Papeete airport. We picked up Denis for a weeks sailing here. Moorea is very very pretty. We entered our first organized event called the Tahiti Rendezvous. This was full of dancing and games including and out rigger race. We all took part with a local in the back and front and four sailors in the middle. The Kiwi team from Opua won with experience and power. An American family with two boys, Mum and Dad did very well as they have lived in the Marquesas for a year and their technique was a joy to watch. Must go place - Coral garden on west coast of Tahaa. We saw a yacht on the reef entering Raiatea which was a bit distressing. It looked like they left the channel and turned a bit too early. We all know how easy it is to make a mistake and its good to get a reminder. Mooring and anchoring on the west side of both islands was good. We also went into Baie Haamene which is a long bay on the east side of Tahaa. The town is well protected and the walk up the mountain gives good views and much needed exercise. Bora Bora July 4th Heiva! Must go place - MaiKai Marina for the internet. A scarce resource when cruising. The Heiva festival is all round french Polynesia in July. The dancing and rowing racing are great to watch where ever you go. The girls had an interrupted home schooling day yesterday as a race went past the yacht so we took the dinghy into town to watch. Bora Bora has a large central mountain surrounded by lower green hills and then a picture perfect lagoon with azure water.